Dr Chavarriaga graduated from The Health and Science Institute. Medellín, Colombia, on December 1988, after 5 years as a General Dentist he completed a Post-Graduate Fellowship in Endodontics in June 1993. He worked as a General Dentist Limited to Endodontics for 5 years in Colombia until 1998 when he came to the United States with his family. He started working as a volunteer dental assistant, then work as a dental Hygienist until 2001 when he was accepted at the University of Florida Foreign Trained Dental Program, he obtained the Outstanding Academic Achievement Award and graduated on May 23 2003, after 2 years in General practice in United States, he continued his training in a Endodontic residency program at the University of Michigan where he earned his specialty certificate in Endodontics on June 2007. 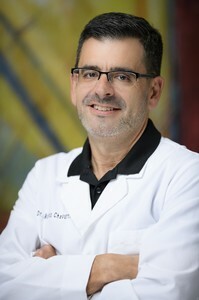 Dr. Chavarriaga is a member of the American Dental Association, American Association of Endodontics, Florida Dental Association, Greater Orlando Dental Society, Michigan Dental Association, Michigan Association of Endodontics, and he is Board Eligible of the American Board of Endodontics. Paola is our Office Manager. She coordinates office and departmental operations as well as supervises support staff. With over 15 years of dental experience she brings a commitment to excellent dental care and outstanding customer service to her work. Paola says she is proud to work at East Orange Endodontics because of the quality and care that is emphasized in everything we do. She appreciates that we are a team working together with a common vision of patient care. In her free time she enjoys spending time with her two kids, family and friends. She also enjoys reading and going to the movies. Maria will be the first of several smiling faces you see when you come into the office, and her big smile will tell you she is genuinely glad to see you! With over 10 years of customer service experience, you can count on Maria to help you with anything you need here at our office. 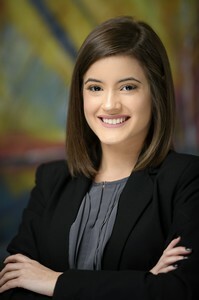 She’s currently attending UCF, working on her undergrad in Health Sciences to become a Physical Therapist in the future. When she’s not busy running around the office or with school, Maria likes to go to the movies, teach gymnastics, and walk around Lake Eola on Sundays for the Farmer’s Market. 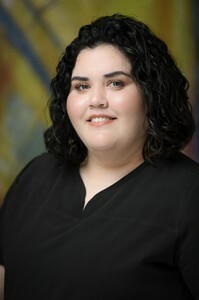 Idalys is one of our front desk receptionists that has over eight years of customer service. 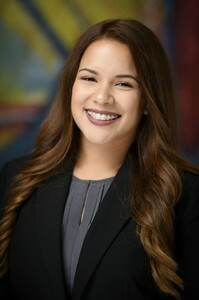 Idalys graduated from Florida Technical College in 2017 and got a diploma in Medical Billing and Coding. She understands what it is to be in the opposite side of the office, in other words she comprehends the value and care that patients require. One of Idalys objective is to keep learning to extend her knowledge. In her spare time she likes to go to the movies, try new foods and invest time with her family. Iraida is one of our longest employees, she is very detail oriented and a driven assistant. 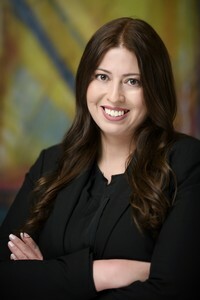 She graduated from Central Florida Institute in 2007 and has been in the dental field ever since. On her free time she enjoys music, dancing and spending time with family and friends but most of all she takes great pride in being a mother to both of her kids. 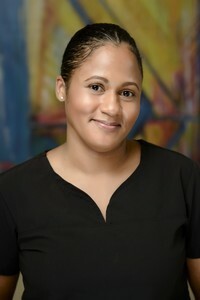 Iraida thoroughly enjoys working with the team at East Orange Endodontics and always looks forward to making her patients' dental experiences better.